Cameron and Melinda met while attending Radford University, their first date coming about due to a bet that Cameron lost (he had to buy her lunch after his team lost in a day-long race!). On the day Cameron proposed, the couple was enjoying a relaxing afternoon after Christmas; they have a longstanding game of holding their arms out as wide as possible while saying "I love you THIS much." As they played their game, Cameron sounded more serious than usual; Melinda looked up to find him holding the important ring box. Cameron had already spoken with Melinda's father for his blessing, wanting to surprise her after Christmas with one more extra special gift. Melinda says her wedding was unique thanks to the little details. As she got ready for the wedding, Cameron's mother came in with a gift from the groom, a new snow globe that Cameron had made, and was extra special because of the significant meaning for the couple. Melinda carried her grandmother's handkerchief in her bouquet and they also used the same knife that Cameron's parents had used to cut their own wedding cake. 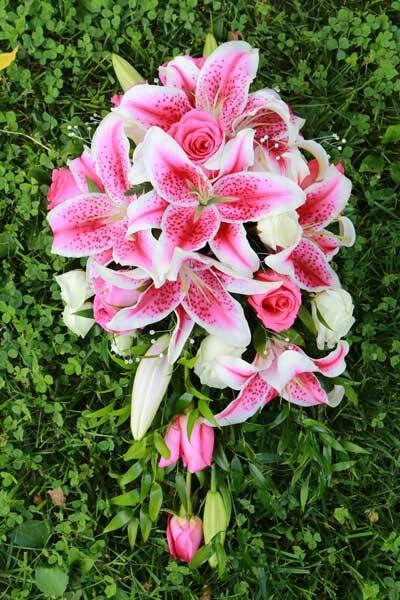 A black and fuchsia color scheme was chosen, where the bridesmaids wore black dresses and shoes, groomsmen wore black tuxedos with fuschia vests and ties, and the flower girls wore fuchsia dresses. 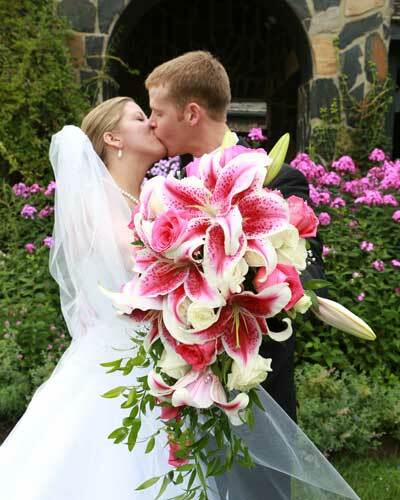 Because the stargazer lily is Melinda's favorite flower, she used it in her bouquets, centerpieces, and the wedding cake. Centerpieces for the tables consisted of a square mirror tile with three white candles floating in glasses, with rows of black rhinstones around the top of the glass holder. Pink, clear, and black gems were scattered around on the tables. Guests were given small mint tins as favors that read "mint to be" on the lid. They also tossed heart-shaped rice for the couple's reception exit. For their honeymoon, the Lephews spent a tropical week at Sandals Negril in Jamaica. 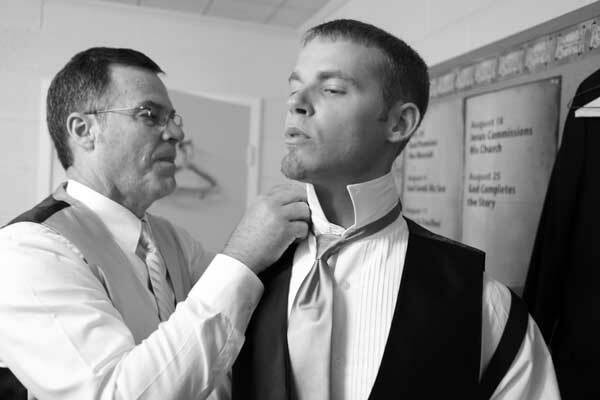 Be sure to see the Lephew wedding on page 74 of the second issue of bridebook, on newsstands now!